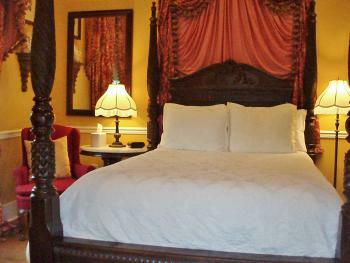 This room contains a magnificent mahogany ram’s head full tester queen sized bed (circa 1830’s). 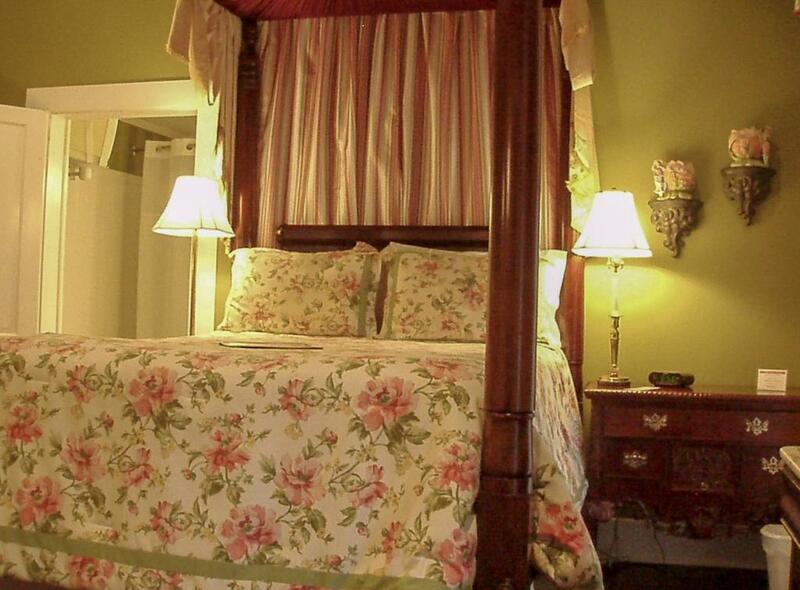 A soft spring green wall color has been used to coordinate with and elegant Schumacher fabric. 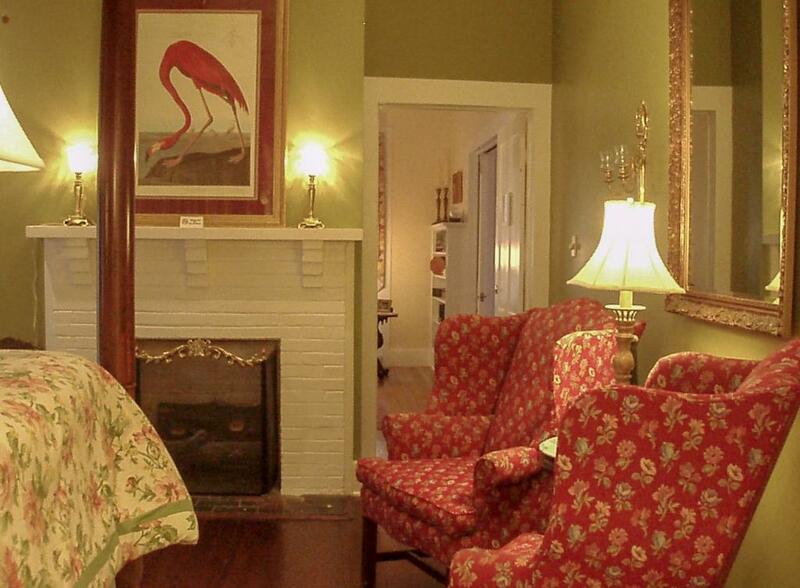 Large, stately, red tapestry chairs allow you to feel as if you are holding court with Judge Porter himself. 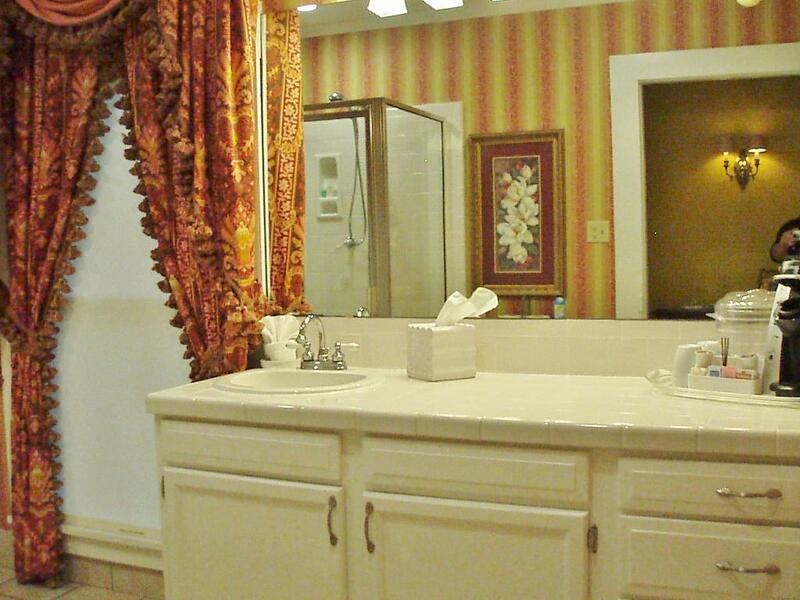 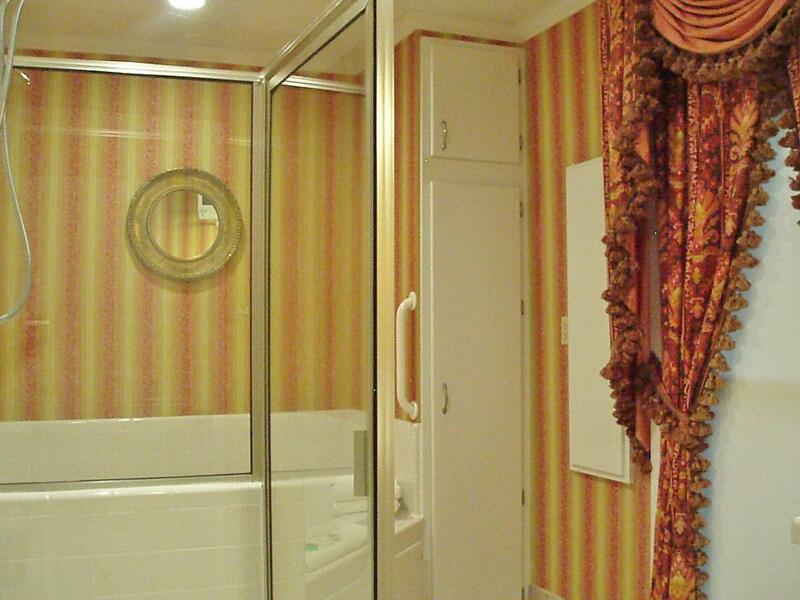 This room, which is located on the first floor, includes a large, private bath with a two person Jacuzzi tub and a TV. 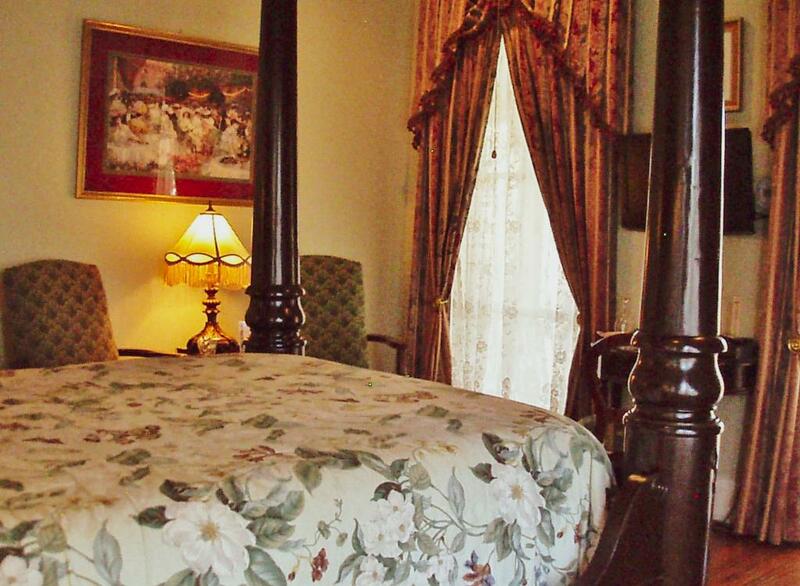 In room climate control and complimentary Wi-Fi. The New Orleans room contains a queen size mahogany and rosewood full tester bed along with a walnut dresser (Circa 1860). Originally part of a wedding dowry, both pieces belonged to the same family until 1994 when they were acquired by the Judge Porter House. 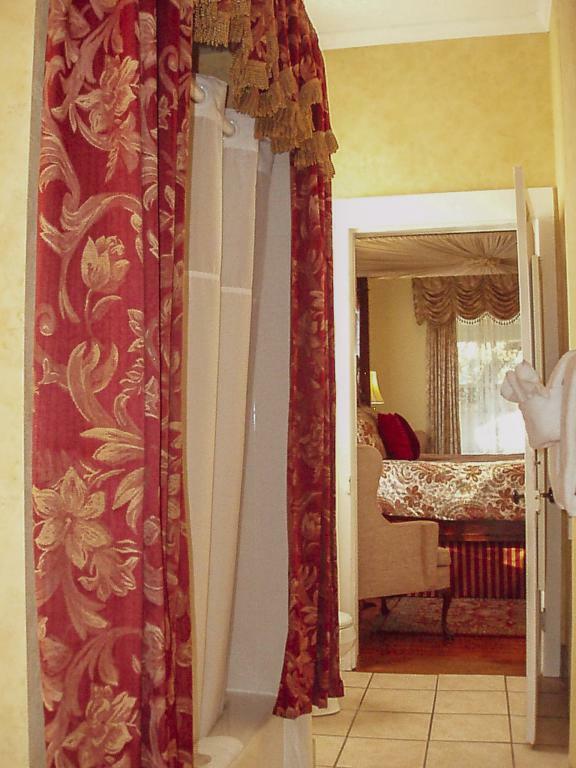 Silk brocade drapes and tassel pillows add to the romance of this room which has a private spacious bath and is located adjacent to the second-floor parlor. 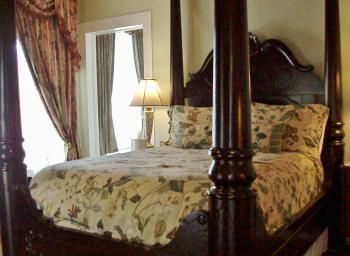 Relax in the rocking chairs on the second story balcony. 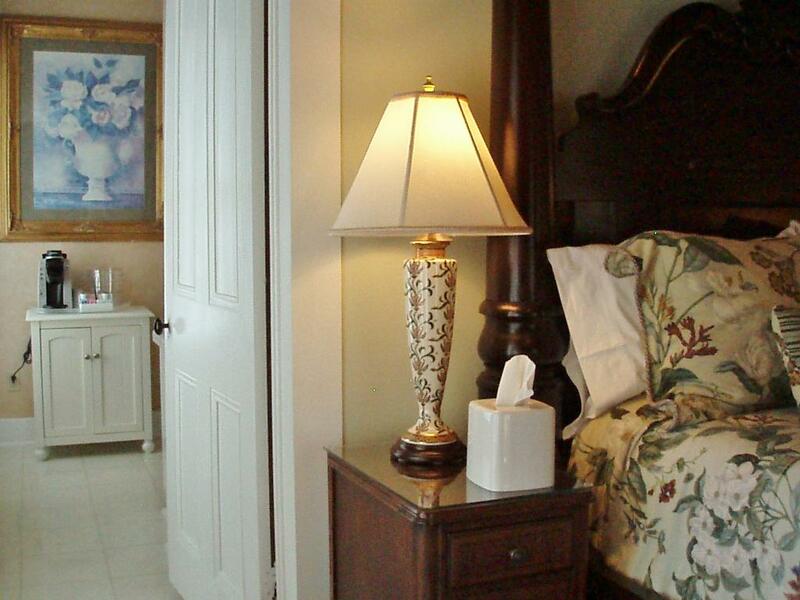 In room climate control and complimentary WiFi. Over 600 square feet of living space. This charming, romantic cottage has a cozy fireplace in a spacious sitting area which overlooks the lovely landscaped gardens. 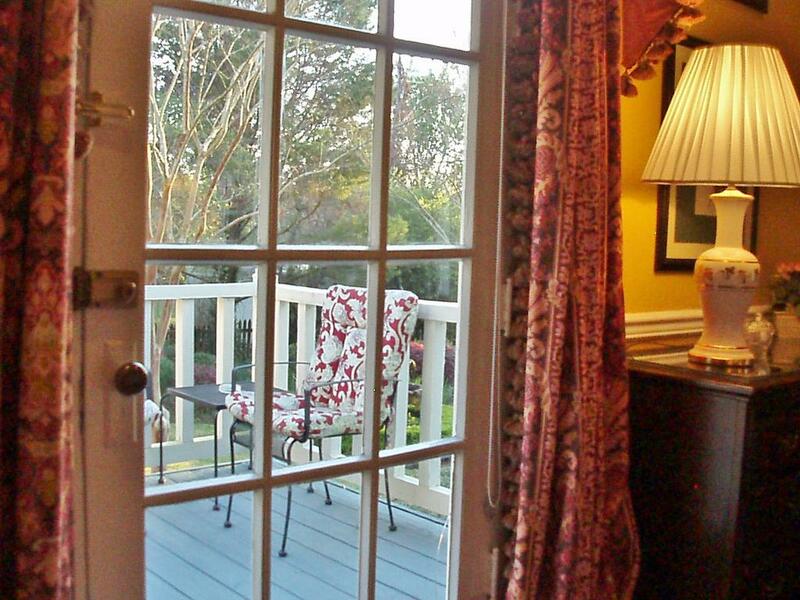 French doors align one wall opening to a private deck leading to the gardens. 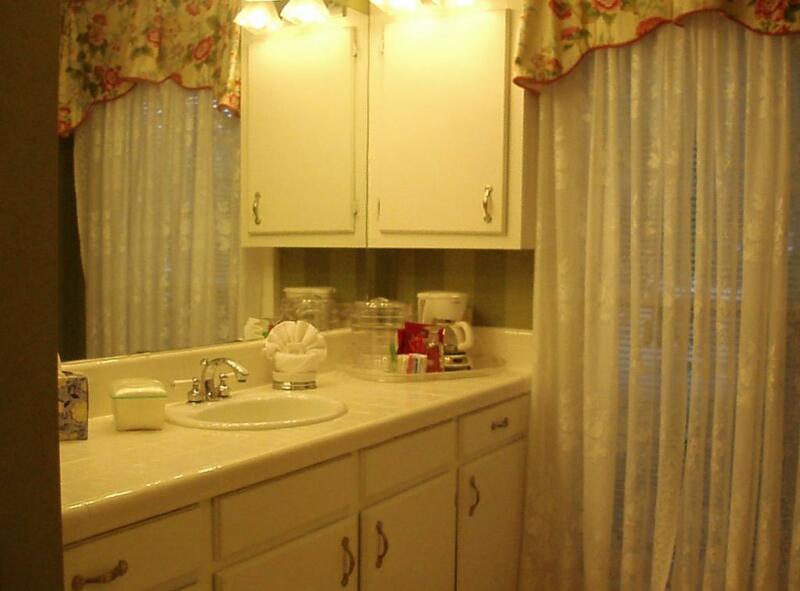 A fully equipped kitchen with dining space is available. 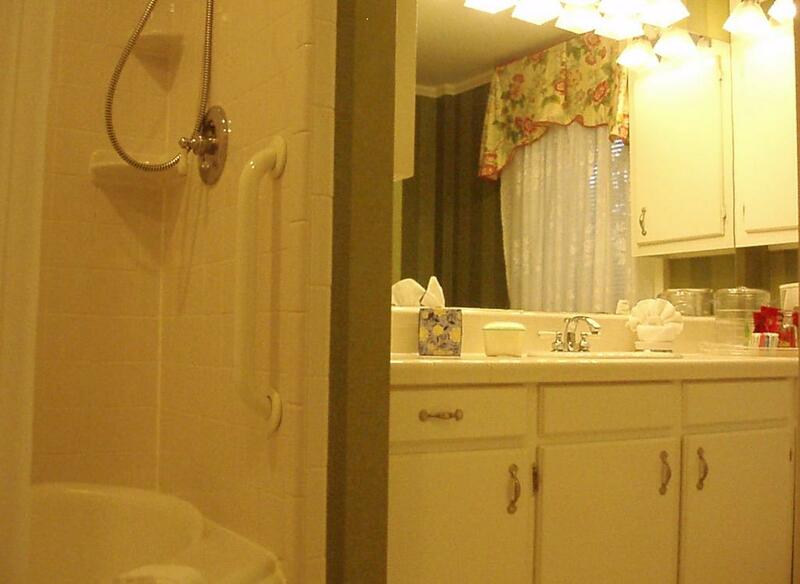 Full bath and walk-in closet downstairs. 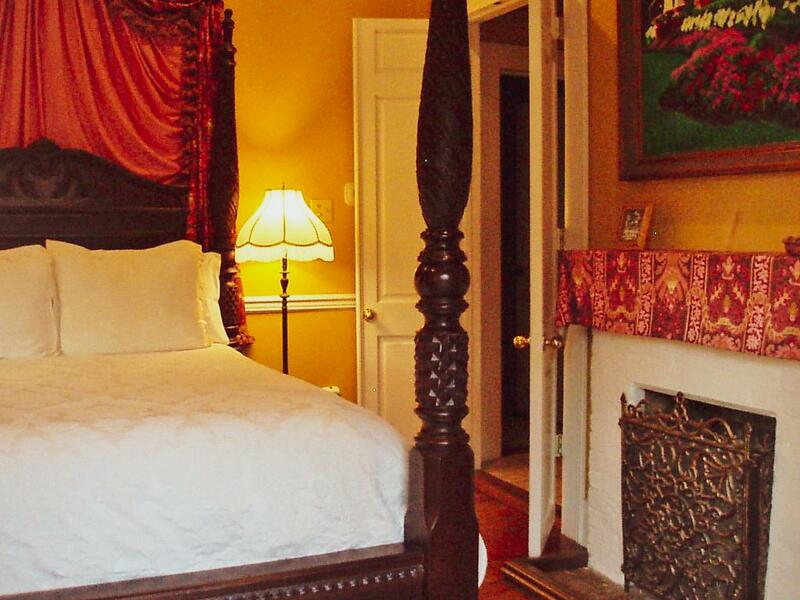 A romantic loft with queen sized bed awaits after walking up a spiral staircase. 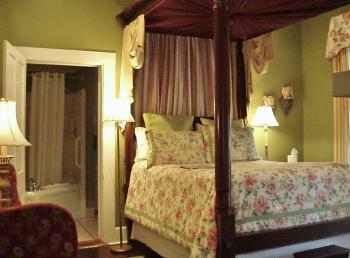 From the loft, one can see the beautiful gardens through wide windows under a cathedral ceiling. 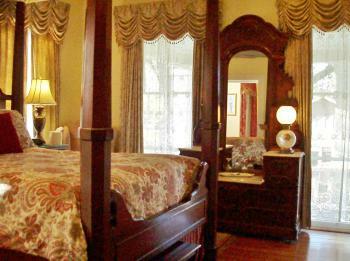 Breakfast is served in the main house dining room. 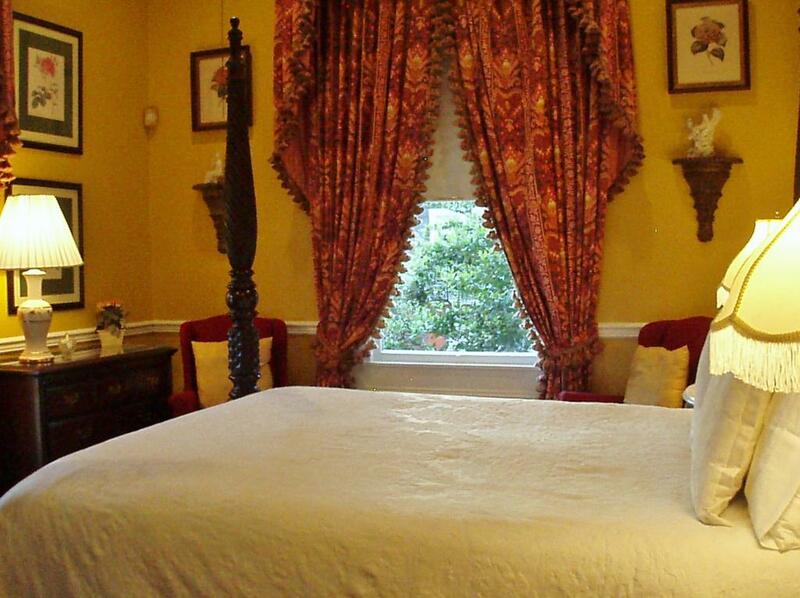 In room climate control and complimentary WIFi. 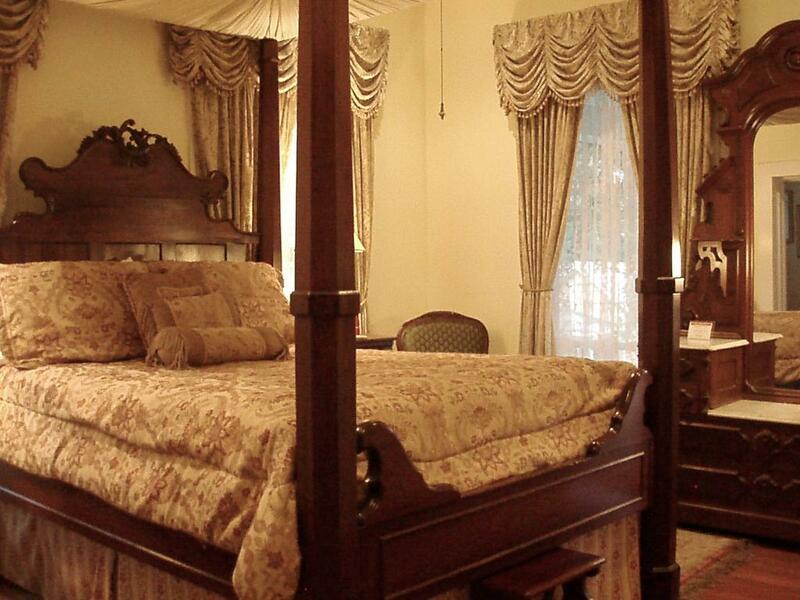 The Princess bedroom is furnished with a massive (circa 1820) burl mahogany queen sized full tester bed and a nine foot tall mahogany wardrobe from the late empire period. 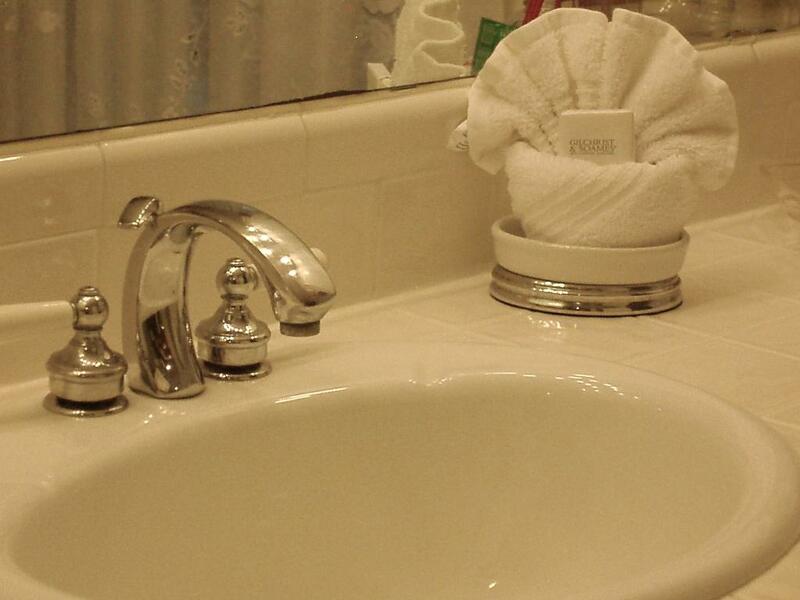 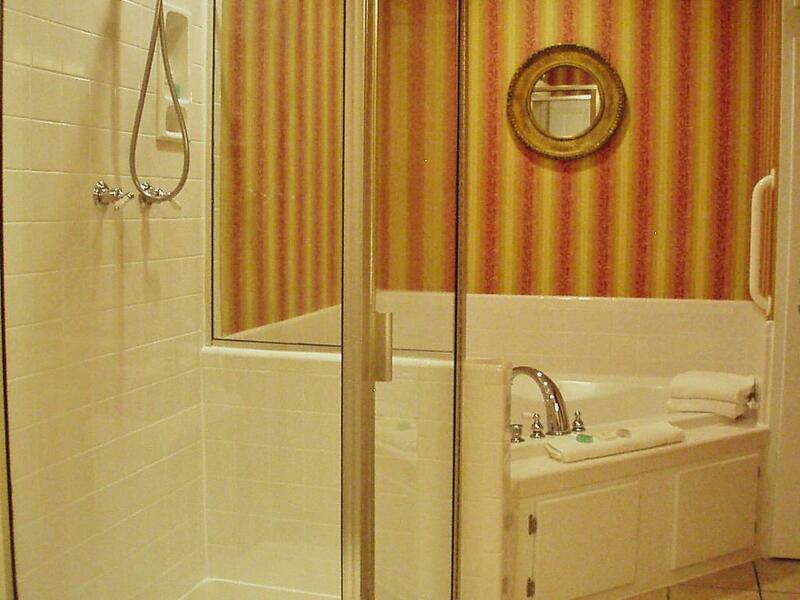 Located on the second floor, this room has a private spacious bath. 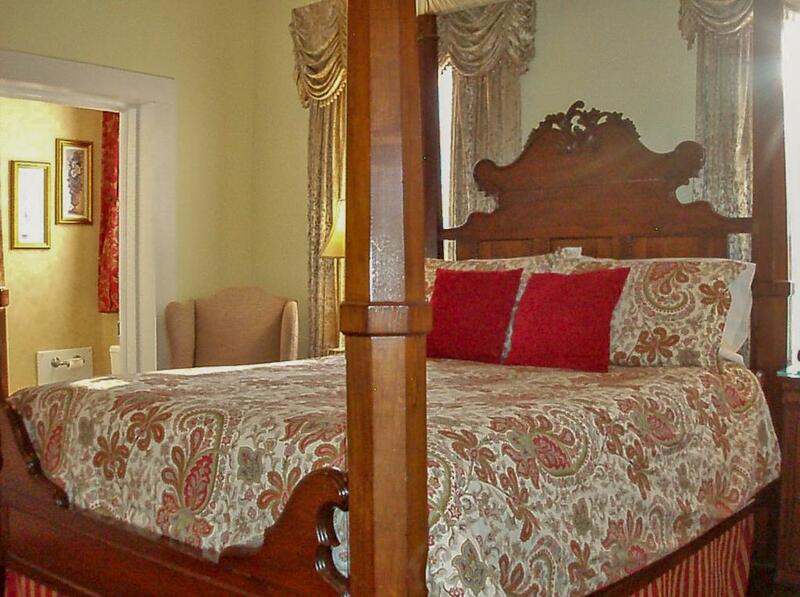 The Princess bedroom is also located adjacent to the upstairs parlor. 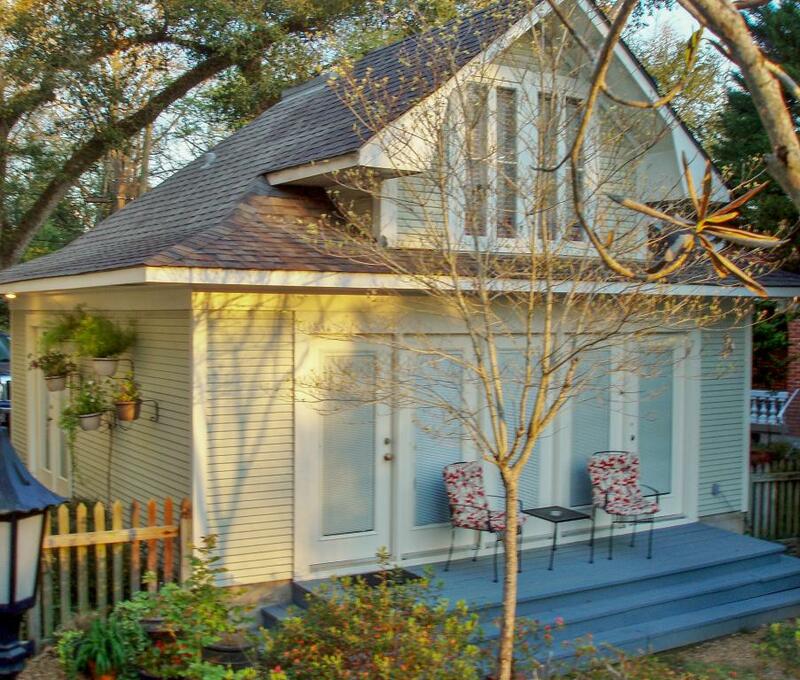 Easy access to the second story balcony where you can enjoy the rocking chairs under the canopy of the live oaks. 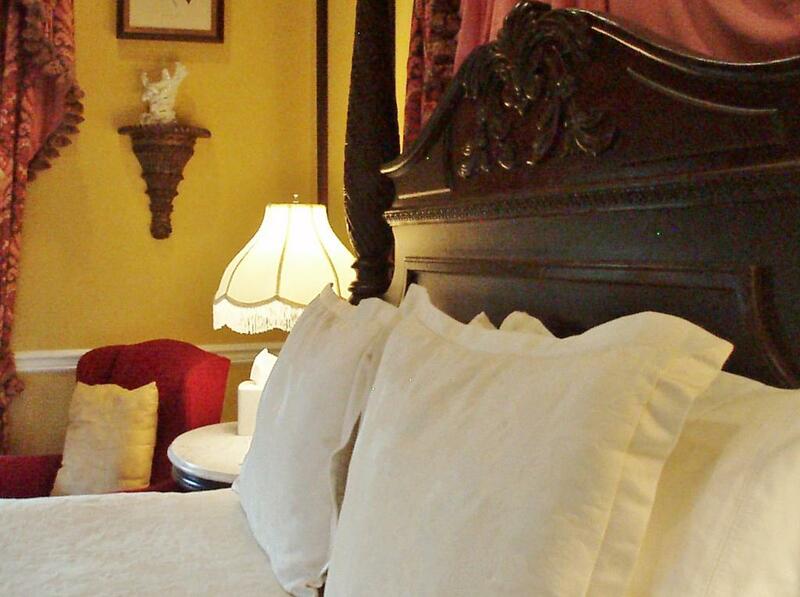 In room climate control and complimentary WiFi. 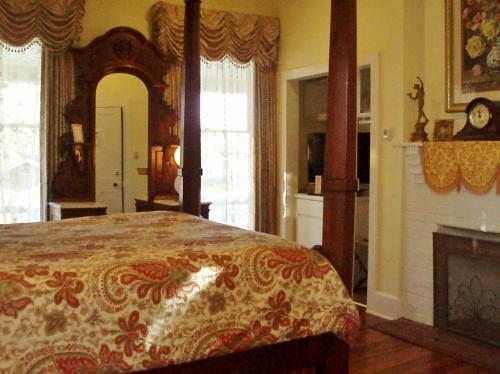 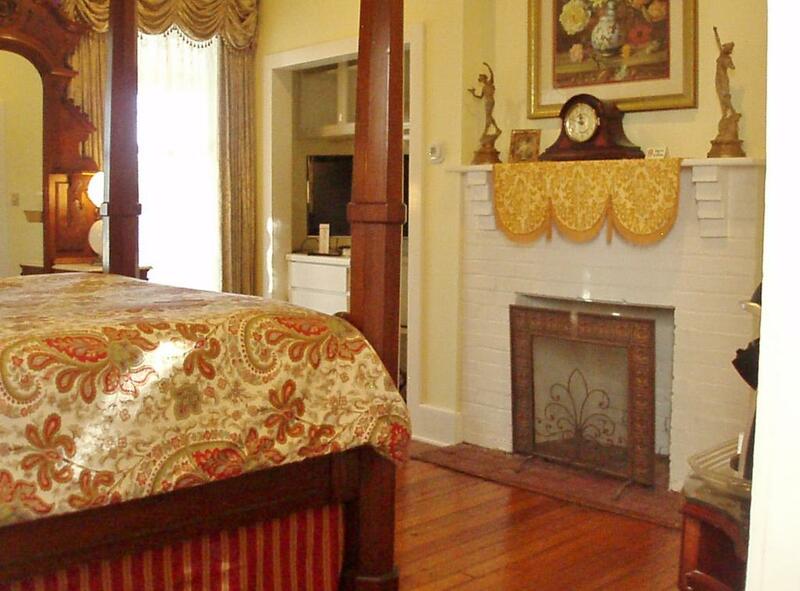 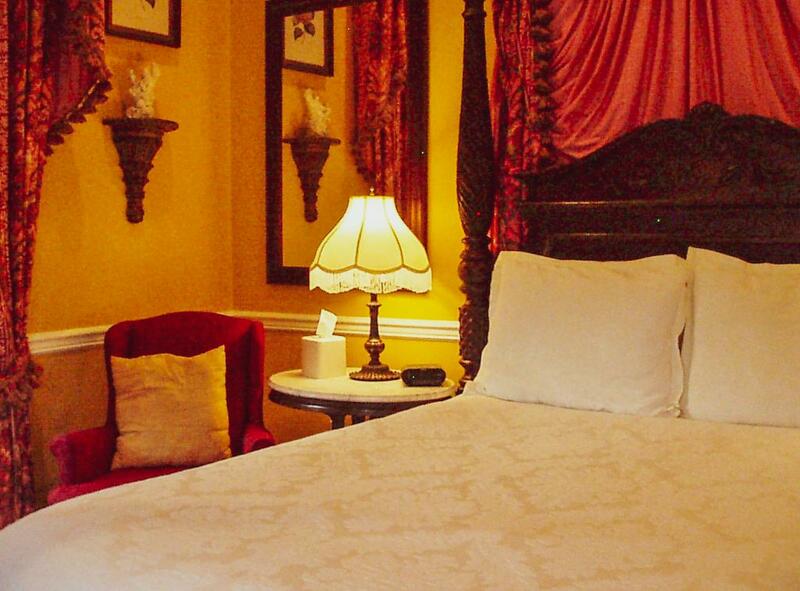 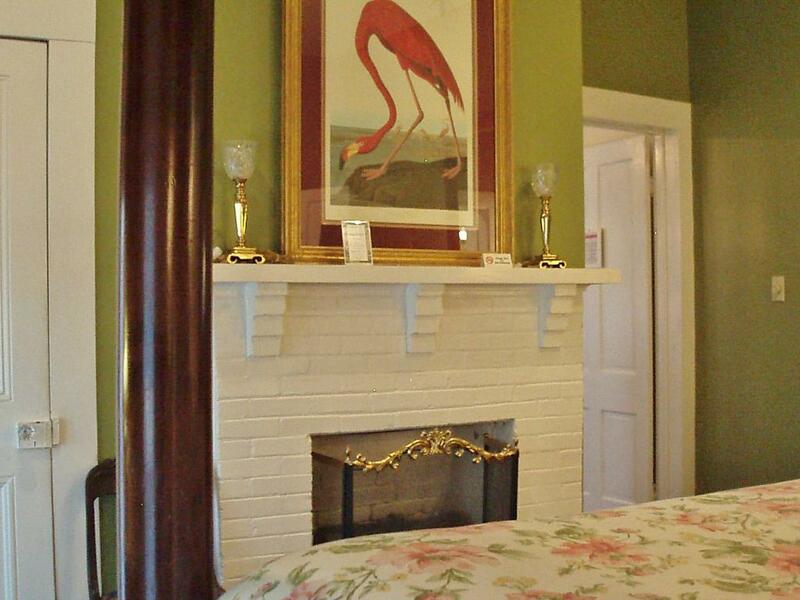 Our exquisite breakfast served in two courses and our elegant yet comfortable guest rooms with all the modern amenities ensure a pleasant stay at this impressive Bed and Breakfast located in the National Historic Landmark District of Natchitoches, Louisiana. A Queen Anne influence is evident with the wraparound two-story gallery. 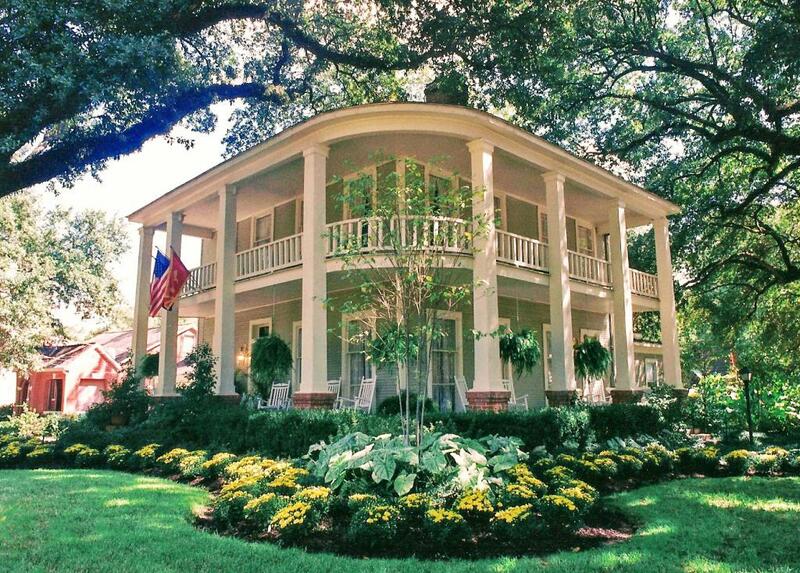 This architectural style blends beautifully with the Greek Revival style reflected in the colossal columns on the massive brick pillars. High ceilings, heart pine floors and five fireplaces showcase exquisite mid-19th century antiques and European cut crystal chandeliers. 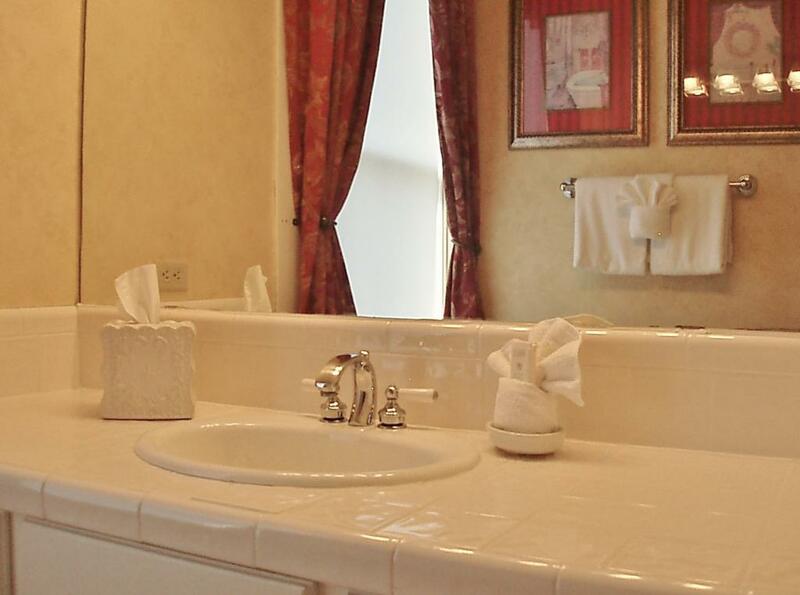 Two comfortable parlors provide a place for guest to visit with colleagues, friends or family they may be traveling with. 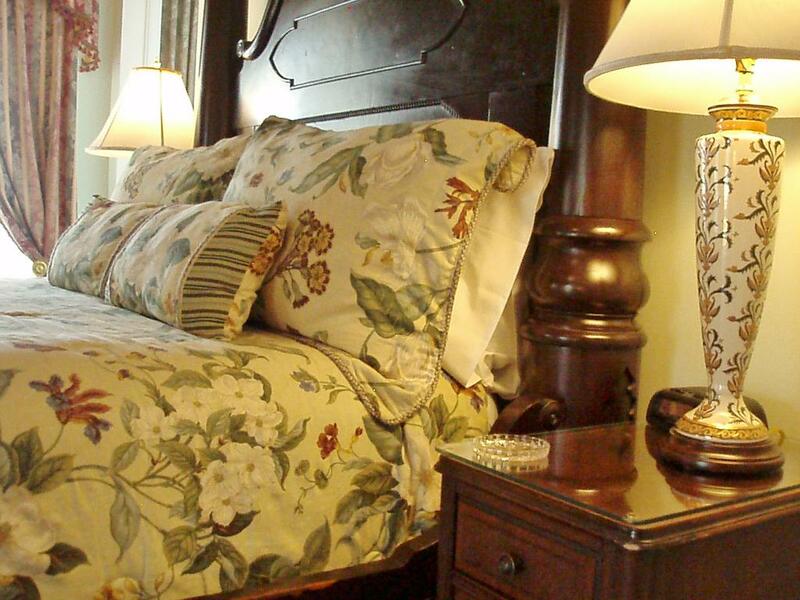 The quiet guest bedrooms and private Guest House offer queen-sized mahogany and rosewood full tester beds, silk brocade drapes, tapestry chairs, and every luxurious amenity desired.